By approving these terms & conditions and confirming your order, a binding agreement is entered into. When we have received your order, you will receive an automatic e-mail confirming it. We reserve the right not to deliver in the event that the stock level was incorrect at the time of receiving the order. Should we be unable to deliver in accordance with the terms in the confirmation of order, we will contact you as soon as possible and give you the opportunity to cancel the order. Before you are allowed to pay you will be notified of the shipping cost to your destination. Your shipping cost is calculated based on the weight of your item(s) and the region of your destination with official prices from the Belgium Post. Orders are shipped by Bpost. Orders can also be collected from our shop in Brussels, Belgium (48, rue des Minimes, 1000 Brussels, Belgium). Once Vasco & Co. has delivered the merchandise to the carrier, you assume the risk of loss and title for the merchandise. Bpost does not deliver to post-office boxes. A physical street address and signature upon delivery are required. Goods will be dispatched on regular working days. Delivery times may be a little longer during sales and public holidays. When your order leaves our warehouse you may receive a tracking number via e-mail which you can use to track your order. If we are unable to deliver the ordered goods you have the right to cancel the order. If the payment has been made in advance, your money will be refunded within 30 days. In the event of late deliveries, a new delivery date will be offered. If this is not suitable then you have the right to cancel the order. PayPal allows secure payment from your bank account or PayPal credit. You can also opt to pay using your Visa/Mastercard credit card. 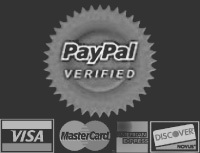 More information about PayPal is available HYPERLINK "https://www.paypal.com/cgi-bin/helpweb?cmd=_help"here. For all return/exchange requests please contact HYPERLINK "mailto:vascobooks@skynet.be" vascobooks@skynet.be . If you wish to exchange a product, please contact us as soon as possible to reserve another product/size. Items on sale cannot be returned. We have the right to assert force majeure in the events such as war, warlike event, civil war, revolution, government sanction, strike, lockout, blockade, natural disaster or the like. This means that the agreement will not need to be fulfilled in part or in full. Should this, contrary to expectation, occur, we would attempt to notify you. 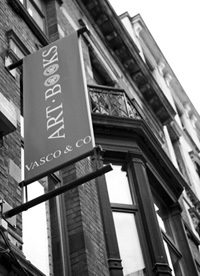 The website Vasco & Co., our physical shop and registered domain are owned by Emilia Da Paz. The company is registered in Belgium.